Why are there two Metra wiring harnesses? Metra provides two types of harnesses for different installations. Occasionally you may need to replace the factory harness and in other situations you want to replace the factory radio, we show you the differences between Metra wiring harnesses. Metra produces two types of wiring harnesses, one is designed to replace the factory wire harness in the vehicle if it becomes damaged. These wiring harnesses have a part prefix of 71-****. 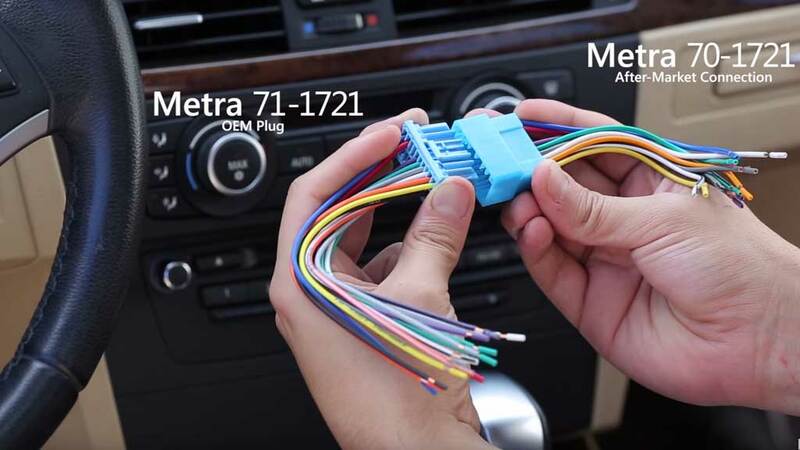 The more commonly used Metra wiring harness are those that are designed so that you can connect an aftermarket car stereo to the factory wiring without cutting. These harnesses have a part prefix of 70-****.